Acyclovir is the prototype of a series of antivirals which are effective against herpesviruses. However, resistance to this class of drugs can occur and is being seen mainly in immunocompromised patients with herpes simplex virus (HSV) and varicella-zoster virus (VZV) infections. Clinical use of intravenous ganciclovir began in 1984 for the treatment of life-threatening and sight-threatening human cytomegalovirus (HCMV) infections in immunocompromised patients. A few years later, emergence of ganciclovir-resistant HCMV strains was reported in AIDS patients with HCMV retinitis and, thereafter, in organ or bone marrow transplant recipients. Foscarnet and cidofovir became available subsequently, and resistance to these agents has also been described. 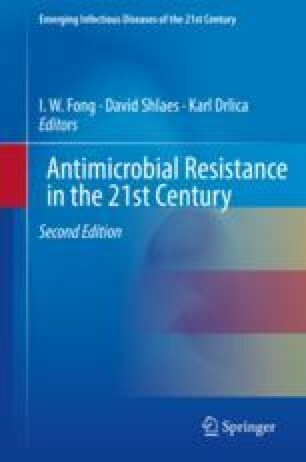 In this chapter, we review the available antiviral drugs for the prevention and treatment of HCMV, HSV, and VZV infections, the methods for detecting antiviral resistance, the clinical significance of infections caused by drug-resistant strains, and their management. This study was supported by a Foundation Grant from the Canadian Institutes of Health Research (grant no. 148361 to G.B.). G.B. is the holder of the Canada research chair on emerging viruses and antiviral resistance.